December 4, 2018 Dan O. Never forget where you came from. Including the talking animals you used to hang with. After leaving his furry friends back in his childhood home, Christopher Robin (Ewan McGregor) finally grew up to become a full-fledged adult. He got a solid-paying job, a wife (Haley Atwell), and a daughter that he’s doing all that he can to make happy. However, now that he’s older, Christopher Robin has sort of forgotten about the fun and adventure his life used to hold, which all gets brought back up when his former best friend, Winnie the Pooh, comes back, lost, and without any idea of where the heck he is. While this is a major inconvenience for Christopher Robin, because he’s a super-serious business man now, he does what he can to bring Pooh back to his home and reunite with the rest of his friends like Tigger, Eeyore, Owl, Piglet, Rabbit, Kanga and Roo. As a result, however, Christopher Robin is reunited with those same friends that he all but had forgotten about in the many years since he left. It’s hard to not be charmed by a movie like Christopher Robin. It’s so sweet, silly, and entertaining, that even with all of its flaws and obvious issues, it’s hard to hate it. It’s the kind of movie that does a bad thing every now and then, but then does a few good things after that and you’re left wondering whether to be mad at it, or accept it for what it is, move on and try to enjoy the show. Which is odd for me because a movie like Christopher Robin, that does try so hard to be charmingly cute and adorable, should bother me up to high heavens; movies especially aimed towards kids and no one else especially bother me. Mostly these are the kinds of movies that know that they’re going to get the kids walking through the lobby-doors opening day, so why bother with the quality, or whether or not it works for everyone watching, right? 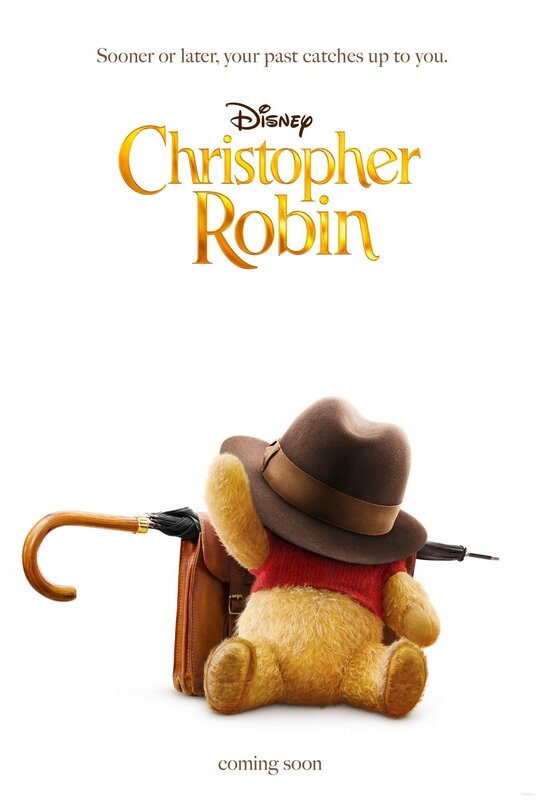 Christopher Robin is the surprising movie that is mostly for kids, but thankfully, still finds small, interesting ways to entertain those older who may be forced to sit by this. Director Marc Forster finds just the right middle ground between sap and silliness, which works as we get a lot of messages about growing up and going back to your roots, as well as the usual shenanigans we’re used to with animated-flicks in which talking animals run rampant. Once again, if it sounds cute, chances are, it’s probably cute. Talking animals! Now that’s more like it, baby! And that’s the case with Christopher Robin, the movie: It’s cute and hard to resist. Even when it seems like someone like Ewan McGregor (who is perfectly game for this material) seems a little too old, or the side characters who aren’t Pooh don’t get enough attention, or even when the whole business-subplot gets a tad too out-of-hand, there’s always something bringing me back and that’s the heart. It’s a sweet movie that means well and isn’t trying to ruin your childhood, or even the childhood of your children – it’s just trying to remind us all that deep down inside, we’re all still children who need that great sense of fun and adventure in our lives. No matter where we go, or who we become. I dare you to be mad at that. Consensus: While no doubt geared towards a younger-audience, Christopher Robin is still a sweet, endearing and charming flick that does everything it absolutely needs to do for its 100-minutes. I’m not crying, you are! Shut up! I’m so with you on this one. It’s too easy to try and pick it apart when what we should really be doing is just enjoying the ride!